Met: Kevin and Kunya met online in the ‘Love at AOL’ chat room in 2001. Kunya, then 23, was in the process of finalizing the divorce on her first marriage. Kevin, then 27, was finishing up his studies in locomotive engineering at Virginia College in Birmingham and actively “looking for a wife,” he said. Kunya sent the first message. Despite passing his profile up several times before, one day she decided to say hello. 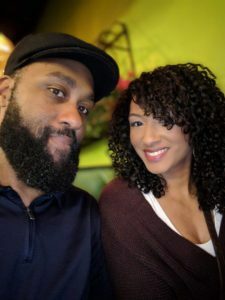 “[After the message] he immediately asked me for a photo,” Kunya said, “I wanted to see how he’d react to me having a child, so I sent him a photo of me and my daughter. 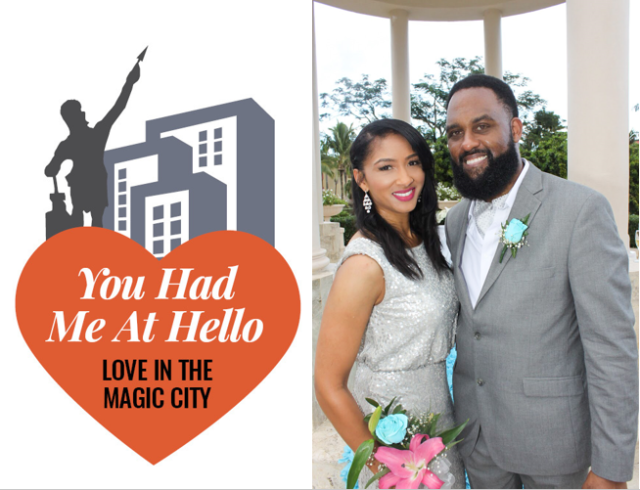 First date: Kunya was living in Talladega, her hometown, but working in Birmingham. Her job location was in close proximity to Kevin’s place, and the two decided on a “balcony cocktail hour” at his apartment for their first date. The Turning Point: “Within the first two weeks, we were meeting parents,” Kunya said. “I understood that need for parental approval. 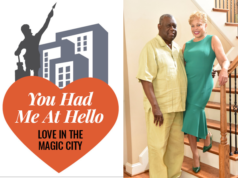 I knew they’d love me, that wasn’t even a question for me…I could tell it was one of those things where you just wanted to see if your parents were gonna love them too,” she said. 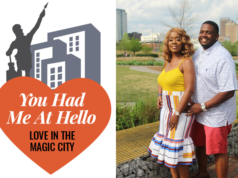 The pair became a couple soon after they first met, and once after work hangouts were no longer enough, Kevin moved Kunya and her two-year-old daughter Kinya, to Birmingham. 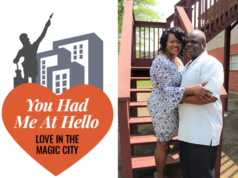 “We met in July 2001, and by that October we were moving to Birmingham, and by Valentine’s Day 2002, we had decided we were getting married,” Kunya said. The proposal: The “proposal” was more like a joint decision to get married, they said. “It was very casual… It was none of what a woman would probably have dreamt of or imagined,” Kunya said, “and that’s what I love about our story, because it’s different, it’s our special thing,” she said. Kevin said that their living together (unmarried) was never supposed to be long-term. Marriage was a natural progression for the couple. The wedding: Although Kunya wanted to head to Florida to elope at Disney World Kevin wanted something more traditional. They wed at Talladega College Chapel in Talladega. Their colors were navy blue, silver and white. Seeing Kunya come down the aisle was most memorable for him, Kevin said. “She was so beautiful and this is the start of the future and all the things to come,” he said. For the honeymoon, the couple had plans to spend a week at Disney World, but an emergency at Kunya’s job pushed their Disney vacation to the summer. Instead, they spent the weekend in a studio cabin in Gatlinburg, Tennesee. 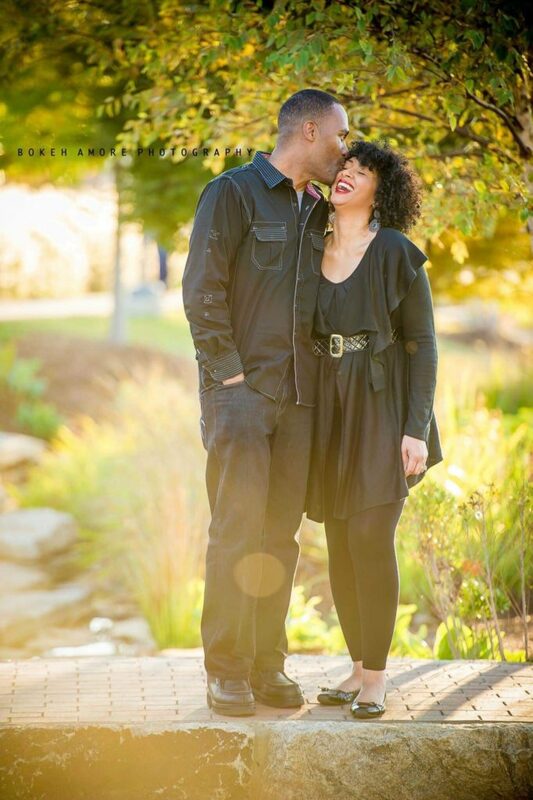 Words of wisdom: An unshakable commitment to one another is what makes a marriage work, the Jones said. Get somebody you can grow with,” Kunya said. “My mind is on legacy building…and seeing it transpire in our children…our daughter Kinya is an amazing woman. Seeing our growth play out through our children is a joy,” Kunya said. Happily ever after: Kevin, 44, is an Ensley native and locomotive engineer at Norfolk Southern. Kunya, 41, is a Talladega native and online project manager for a global telecommunications firm. The Jones’ are parents to daughters’ Kinya, 21, Kamryn, 12, Khloe, 7, and enjoy an easy going “laid back lifestyle”. “We enjoy doing casual things,” Kunya said. “We’ve kind of created a little sanctuary of our home to do the things we enjoy. We both like playing video games, we love listening to live music at the Perfect Note, and trying new restaurants downtown,” she said. Kevin says they’re setting up their travel bucket list. “We’re choosing places around the world to go and visit, we love to travel,” he said. “We’ve been to Jamaica, Colorado, New York… We go to Atlanta a lot, searching for food adventures…we have fun,” he said.